I have recently read the short story Witness to a trial by John Grisham. It is Set in Florida it concerns a chap named Junior Mace who is convicted of killing his friend Son Razko after finding him in bed with his wife. Despite overwhelming evidence Mace professes his innocence and claims he was set-up. As the investigation progresses things don’t add up and a trail of bribary and corruption is gradually uncovered concerning a Local Judge who may be taking bribes from a local King-pin over the illegal building of a Casino on a Native American Reservation in order to get rich. 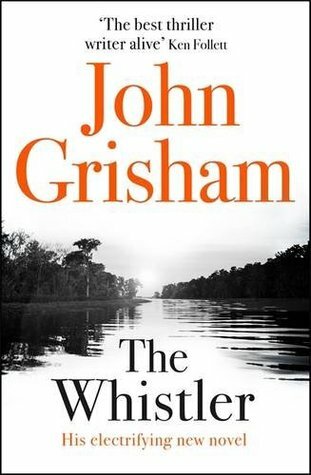 The Whistler by John Grisham is another exciting tale of bribery and corruption set in Florida and follows on from the short Story Witness to a Trial. It featuresHugo Hatch and Lacy Stoltz who both work as a Judicial investigators investigating cases of bribery and corruption within the judicial system. They are informed by a chap named Ramsey Mix/Grey Myers about a corrupt judge named Justice Claudia McDover. Myers has overwhelming evidence that Justice Claudia McDover is working with, and taking bribes from, a criminal kingpin named Vonn Dubose who is head of an organised crime syndicate called the Catfish Mafia, in order to facilitate the building of a Casino and Luxury condominiums on an Native American Reservation and make millions of Dollars in the process. However while some of the local population welcome the development claiming it will bring much needed wealth to the area, others led by two friends Son Razko and Junior Mace oppose the building of a casino on their land. So in order to push through with the development Vonn Dubose has Razko assassinated and despite protesting his innocence, Mace is framed for murdering him. Mace is now currently languishing on death row thanks to the sinister machinations of Justice Claudia McDover, a few corrupt jailbirds and Vonn Dubose and it is now up to Hugo Hatch and Lacy Stoltz to catch the perpetrators and free Mace…. Moir also featured in one edition of a factual TV series for Five, Dangerous Adventures for Boys, based on the best-selling book written by Conn and Hal Iggulden, The Dangerous Book for Boys. In February 2009, Reeves appeared as presenter of the first episode of My Brilliant Britain, one of the new television shows commissioned for UKTV People channel’s relaunch as Blighty on 25 August 2009, Reeves appeared as a guest on the BBC One programme The One Show alongside Bob Mortimer. Series 6 of Shooting Stars aired 2009 with Reeves returning as co-host with Mortimer, along with Ulrika Jonsson and Jack Dee as team captains. Reeves appeared as one of the guests in Reece Shearsmith’s Haunted House, Reeves also lends his voice to the Virgin Atlantic Airlines onboard safety video, alongside Dani Behr. In May 2011, Reeves commemorated the Royal Wedding by painting 100 plates bearing a picture he drew of William and Kate, with the slogan “Our future King and Queen, Bill and Cath.” He also painted a vase, which bore a shirtless William. In July 2011, Vic rejoined Bob for a selection of YouTube Improvised Comedy Sketches, in association with Foster’s – They released their “Afternoon Delight” clips every weekday afternoon in July. Reeves has also appeared without Mortimer on a number of British television shows, primarily game shows, poll programmes and charity telethons. Vic Reeves also sings the theme tune for Aardman Animation’s rather amusing television series Shaun the Sheep. In 1996, Holland signed a recording contract with Warner Bros. Records. Holland has a touring band, the Rhythm and Blues Orchestra, which often includes singers Sam Brown and Ruby Turner and his younger brother, singer-songwriter and keyboard player, Christopher Holland. In January 2005 Holland and his band performed with Eric Clapton as the headline act of the Tsunami Relief Cardiff. In 2012, Holland performed at the Queen’s Diamond Jubilee Concert outside Buckingham Palace in London. Also in June 2012, he presented a programme about the popular songs of London on BBC Two.